Provost Prof. Gita Ashok Raj received the award on behalf of the university at a glittering ceremony held in New Delhi India. 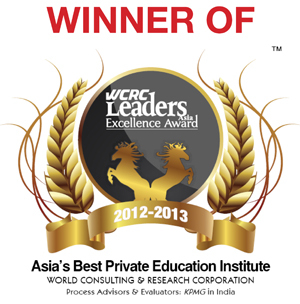 WCRC Leaders Asian Education Excellence Summit & Awards honored Asia’s 100 best and fastest growing private education institutes. The event saw the participation of a number of reputed private education institutes and top of the league academicians from all over Asia. After receiving the award, Prof. Gita Ashok Raj said, “The achievement is a testimony to the relentless efforts and able guidance of our Founder President Mr. Thumbay Moideen. But for his constant encouragement and support, such a feat would not have been possible. This award adds more responsibility to our reputation that we have gained in the fields of education and healthcare over the last 15 years”. The award is a reflection of the high standards of education offered at the university. We have always been unique and innovative and I wish to congratulate our Provost and her entire team of academicians for making this possible, said Mr. Thumbay Moideen, Founder President of Thumbay Group UAE, who are the promoters of the university. The biggest private education institutes and the top of the league academicians from across Asia were all present at the event. 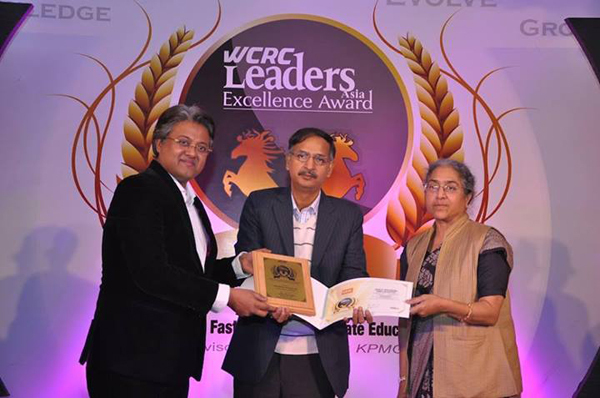 The event took place on the backdrop of the January 2014 issue of WCRC Leaders-Asia magazine, which has a special cover feature on Asia’s 100 Best & Fastest Growing Private Education Institutes. KPMG in India has been the process advisor and evaluator for the research survey. Among the participants were leading education institutions from India, Thailand, Singapore, UAE and Srilanka. Distinguished luminaries and senior government officials among others were present at the event as guests of honour. The event had a series of panel discussion sessions, themed around ‘Education creates Leaders’. Prof. Gita Ashok Raj was invited as a panelist in the session. Chancellors, principals, deans and directors of leading academic brands from across South East Asia, South Asia and the GCC regions participated in the Summit and deliberated on various issues covering policy frameworks to academic quality improvement and placement of graduates.